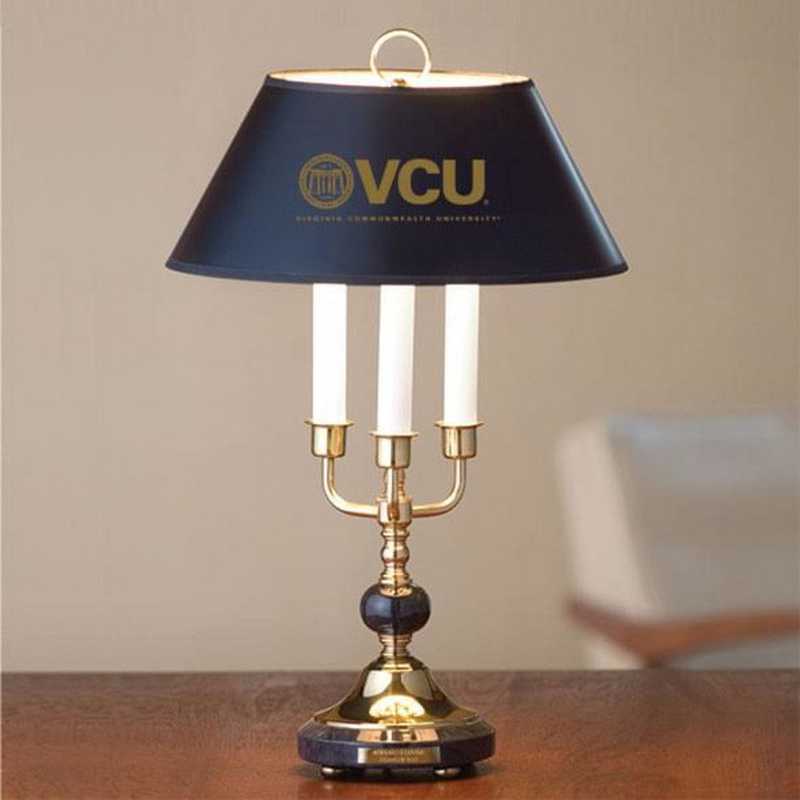 Virginia Commonwealth University Lamp in Brass & Marble by M.LaHart & Co.
Every college sports fan enjoys an NCAA and College Shop gift. Exemplary craftsmanship defines our traditional VCU lamp highlighted with the VCU Logo on the black parchment shade. A timeless reminder of your VCU days. Measures 22” high Substantial presence; weighs 8 pounds Crafted from solid marble and brass Handsome hand polished candelabra style lamp VCU Logo in gold on the black parchment shade Two standard 60 watt light bulbs (not included) for excellent lighting Crafted from solid marble; natural variations in coloring and marbling add to the unique beauty of each piece Officially licensed by Virginia Commonwealth University. Manufactured direct from a trusted supplier. You're reviewing:Virginia Commonwealth University Lamp in Brass & Marble by M.LaHart & Co.